Unfortunately this bubble-gum cactus is not as cuddly as it looks. It's a close relative of the Ping-pong Tree Sponge and it's just as carnivorous. 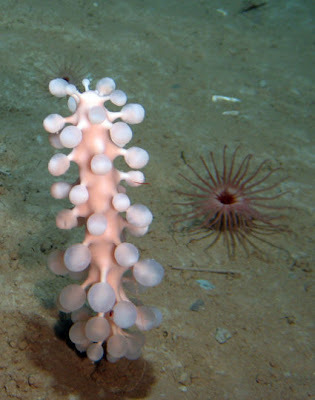 There's not much information on this fabulous tower of baubles, but I assume it catches small crustaceans in the same way as its ping-pong friend. 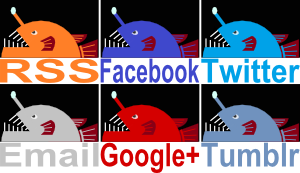 This involves tiny hooks on those blobs catching prey by the bristles and holding fast in a manner similar to velcro. Then, individual cells migrate to the victim and eat it, piece by piece. 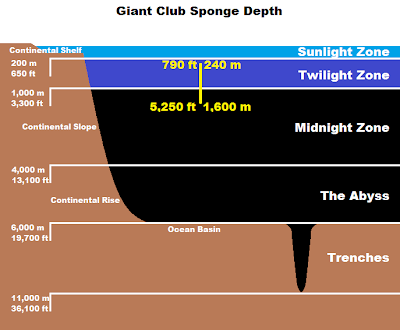 The Giant Club Sponge is found in cold waters in the north at depths between 240 and 1,600 metres (790 and 5,250 feet). 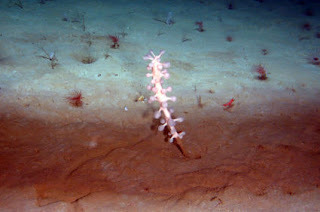 Oh wow...this guy really brings the party to the ocean floor! Yes! Nice to see them having some fun down there! 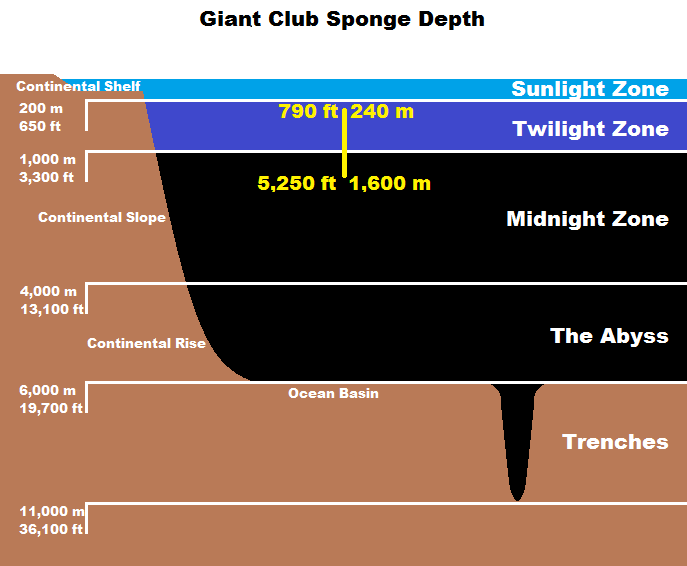 How big is this "giant" sponge? Is it a man-eating sponge? Or even a white-(man-eating-shark)-eating-sponge? Or a monstrous whale-eating-sponge? Unfortunately, the size is one of things I couldn't find out! Seems ridiculous but there it is. It's one of the most absurd forms of life I've ever seen. Also festive!